Identify activities and supports to promote the STEAM mindset. The purpose of this chapter is to consider the acronym STEAM in a new light. Rather than considering STEAM as a collection of curriculum areas (Science, Technology, Engineering, Arts, and Math) this chapter suggests that STEAM can be an acronym for another relevant combination of attributes (Self-starter, Thinker, Energizer, Adventurer, and Maker). In this model, learning “under your own STEAM” is a mindset that encourages exploration, experimentation, and learning in every curriculum area for every student. This chapter uses an outline convention called CARTS (Concept/Content, Activities, Resources, Technology, Support) to provide information and realistic consideration of the topic, a STEAM Mindset. The educational community is abuzz with the words STEM and its expanded relative, STEAM. STEM refers to the renewed emphasis on Science, Technology, Engineering, and Mathematics and the co-mingling of these curriculum areas. STEAM includes the Arts as an integral component of the academic landscape. Teachers and students are asked to develop their skills in these areas in an effort to enhance their academic prowess and career success. Yet, learning is so much more than a curriculum. It is a life perspective, a life skill, and a life-long endeavor. STEAM, in this chapter, goes beyond science, technology, engineering, arts, and math to a mindset that underpins the fabric of curriculum. STEAM is a mindset of Self-motivation, Thinking, Energizing, Adventure, and Making. The five attributes are significant because they encompass internal and external elements of a mindset that foster growth. Inservice and pre-service teachers in K-12 education who are self-motivated, who are always thinking of the next learning challenge to take on, who energize others with new ideas, who venture into new educational territory, and who solidify their learning with meaningful lessons and projects foster their own professional development and student achievement. The STEAM mindset is a catalyst for learning that lays the groundwork for the skills necessary to approach the curriculum with confidence, capability, and competence. The STEAM Mindset, in this context, moves from an emphasis on curriculum to a support of the learner. It is a mindset that places learning in the hands of the student. The teachers and students work together to foster an environment where each person is encouraged to grow. It recognizes Carol Dweck’s concept of a growth mindset (Dweck, 2007, 2016). It capitalizes upon Angela Duckworth’s understanding of GRIT (Duckworth, 2017). And, it sets forth a path for implementation and action. The learner taps into his or her self-worth to become a self-starter and a self-sustainer, a thinker, an energizer, an adventurer, and a maker. I love trains. I rode a train from Paris to Rome that was so crowded I had to stand for the entire midnight ride. I peered out of the window and wondered about the people who lived in the dimly lit homes that flew by. I rode a train from Philadelphia to Montreal that took fifteen hours, and embarked on a twenty-four hour jaunt to Orlando via the Silver Meteor. I marveled at the grandeur of Alaska that I saw from the train that traveled between Anchorage to Denali, Alaska. Whenever I can, I use public transit trains to get into the city. Trains can take you around the city or across the country. Trains speak of power, adventure, and a view of the world. It is no wonder that Great Grandpa Smith’s model steam locomotive became my symbol for the power and empowerment of a STEAM Mindset. Realize your self-worth. Believe in yourself. Live in a state of mindfulness. Have a purpose. Set goals. Take the initiative. Develop strategies. Synthesize your thoughts. Gather support, connect, communicate, persevere, persist, seize an opportunity. Be a self-manager. Write your own story. Thinking, critical thinking, innovative thinking, creative thinking, design thinking, decision-making. Use your talents. Use your tools. Use technology. Be a problem-solver and a questioner. Have a curious inquiring frame of mind. Apply what you learned to new situations in school and in the “real” world. Reflect on your learning and use your reflection to build new learning. Engage. Energize the people around you. Smile. Be a positive force. Build relationships. Be a team builder, an ethical person. Empower others. Be filled with empathy. Embrace eclectic learning. Contribute. Be authentic, and aware. Be an explorer, experience, investigate, experiment. Engage in active learning, appropriate risk-taking, action, analysis, and personal assessment while being resourceful. Be motivated. Have a meaningful purpose. Use design thinking, tinkering, generative learning, mastery learning. Engineer. Authorship. Share your talents. Let your actions and your work be seen. Let your voice be heard. Theories ignite our thinking. Research provides credibility to a theory. But practical explanations and instructions guide everyday practice. A mindset is a perception a person holds about himself or herself. It is the person’s frame of reference. Carol Dweck suggests that a person’s ability to learn is fluid, not fixed (Dweck, 2007, 2016). A person is not born with all the intelligence he or she will have. The person can expand his or her potential. Angela Duckworth adds that passion and perseverance drive that expansion. A person who is passionate about a topic will pursue it far more than an uninterested individual. In essence, the person “takes charge” of his or her learning and becomes an independent learner. Yet, there are nagging questions for educators. How can the theory, the research, become a part of my classroom instruction? What do I look for? How do I foster an environment of growth? How do I take curriculum such as science, math, and engineering, typically areas of apprehension for many students, and engender a passion and persistence to learn in these fields? One answer is to look toward a STEAM Mindset. In exploring a STEAM mindset, students and teachers have a framework for growth, passion, and action. A STEAM Mindset looks for and encourages an individual to be a self-starter and a self-sustainer. A learner is ready to begin a task or a project because he or she sees a purpose in the task, sets goals, develops strategies, and elicits support. The student has the resilience to motivate himself and sustain himself, and to persist in learning. Educators can assist learners with these steps. The teacher can begin by stating a purpose and helping students set goals. The teacher can provide meaningful, authentic feedback that encourages perseverance. As time passes, the teacher can minimize involvement and encourage self-sufficiency. With similar pedagogical strategies, the teacher can encourage critical thinking. Carefully crafted questions can channel and expand a student’s thought processes. What do you think about this? What will happen if...? This occurred, so what? These can be launching questions for creative thinking and problem-solving. Correlations to the student’s experiences heighten the potential for involvement and passion. Working a geometry problem can be tedious, but designing a new space for physical education in the school, brings the math home. Technology can illustrate, illuminate, and broaden a student’s critical and creative thinking. The simple exercise of evaluating a website for credibility is an example that encourages deliberation. A STEAM Mindset suggests that an individual is an energizer. The person works with others, encourages others, supports others, and is supported by others. The person is ethical, honorable, and has integrity. Communication and collaboration are hallmarks of an energizer. The energizer empowers others by encouraging comments and actions. A teacher can provide opportunities for students to become energizers with authentic project-based activities and genuine feedback. Learning is an adventure. A STEAM Mindset brings out the adventurer in individuals. An adventurer takes reasonable risks in learning. The learner investigates, explores, experiments, and discovers. The learner is resourceful, exploring various avenues to find answers and leaves no stone uncovered. The learner is open to new information, techniques, and challenges. Notice how these attributes mesh with the STEM/STEAM curriculum, especially with scientific exploration. Educators can foster an adventurous spirit by posing open-ended questions, encouraging students to seek answers for themselves, inviting students to ask questions, and leading students to plausible answers, rather than declaring responses as correct or incorrect. As a student becomes more attuned to his or her STEAM Mindset and embraces an adventurous spirit, a thinker mentality, and an energizing rapport, he or she may produce a product. A maker emerges. A maker is a producer rather than a consumer. A maker is an author, a designer, an engineer, an artist, a builder, a tinkerer. A teacher can facilitate a maker’s spirit with suggestions and encouragement. Design an app, create a website, write your own story, reflect on a lesson, paint a picture, illustrate a fable, plant a garden at home and explain what happens, or take care of a pet. A STEAM Mindset is important because it is a mental framework that allows an individual to look inward and outward, to motivate and to look for motivation, to absorb learning, make learning, and share learning. Teachers and students who “buy into” the STEAM Mindset are able to build their own learning and continue learning throughout their lives. Classes are punctuated with STEAM allusions and techniques. Bulletin boards illustrate the qualities of a STEAM Mindset. Students are asked to consider what STEAM attribute best exemplifies themselves, even if the attributes is just budding. Students will be grouped with similar students and given a poster board or large paper cutout of a person (depending upon the tenor of the class). Students will illustrate the poster or figure, and include attributes of their STEAM quality, e.g., “This is what a self-starter looks like.” At various times during the first two months of school, students will add information to the poster/figure and try to develop their skills in the area. Subsequently during the year each group will merge with another group, teach them about their STEAM quality and encourage the new group to exhibit similar qualities. This will occur until all of the teams have shared. Posters will be displayed around the classroom. Students will use a Google Classroom assignment to reflect on their ability to work as self-starters, thinkers, energizers, adventurers, and makers. In the reflections, students will discuss how they have used these attributes to learn content and technology skills. Evidence of assimilation will be demonstrated as students accept STEAM roles as part of curricular projects. Younger students are immersed in the components of a STEAM Mindset in an enjoyable manner in this series of activities. Initially, the teacher conducts classroom discussions about the STEAM attributes. The teachers guide students to think about a picture that would represent one or more of the STEAM attributes that the students feel as if they would like to practice. Students create a STEAM card and put it on their desks or spaces to remind them of the attribute they are representing. After several weeks, collect the cards and play a matching game where students try to find like-minded students. The students demonstrate their experiences as they try to practice the STEAM attribute. Demonstrations could be a drawing, a poem, a short story, or a game the students work on together. Project-based Learning is a vehicle for developing and sustaining a STEAM Mindset. Classrooms throughout the world are using this pedagogy to encourage independent learning, collaboration, and producing a product. A corollary that works well with project-based learning is what has been termed “flipped learning,” where students are given access to short videos explaining a topic. They view the video at home or on their own time, and then discuss in class. This provides greater class time for clarification and project work. Education is a profession where learning never ends and teaching always begins with a passionate learner. Challenge yourself to start something new in your area of expertise (or in a new area), think about relevant topics in the education field, hone your technology skills, energize others, perhaps through a professional learning network (a group of like-minded educators interesting in furthering their expertise), create your own plan of action, venture into new learning areas, and make a difference. Research tells us that human beings learn from different avenues. They learn from their senses. They learn from physical and mental connections they are able to make. Learners assimilate what they have learned into their own cognitive framework and they adapt their framework to accommodate new learning. Research provides clues to the mystery and majesty of learning. The body of information is growing as evidenced by this sampling of resources. Use technology to foster your own STEAM Mindset and to teach others. Use New Google Classroom [https://edtechbooks.org/-iXa], More on the New Google Classroom [https://edtechbooks.org/-kKV] to organize and distribute assignments for students. Google Classroom is part of the G-Suite for education, but as of 2017 Google Classroom is also a part of a general google account. Look in the “waffle,” nine dots, on your Google account. Use a lesson planning tools like Planbook.com (easy and helpful but cost $12.00 a year) or free Lesson Plan Templates [https://edtechbooks.org/-Rvb]. Include a STEAM attribute in each unit plan or lesson plan. New technology such as augmented reality, virtual reality, and wearable technology. Consider Google Expeditions and Google Cardboard (tool). Plan and execute a project. Evaluate your progress. Ask friends how well their projects worked and what they would have done differently. Make learning fun for the students by using teacher and student created games. Tools such as Kahoot [https://kahoot.com/], Quizlet [https://quizlet.com/], Quizizz [https://quizizz.com/], and Flippity [https://flippity.net/] (an add-on to Google Sheets) will get a teacher started. Check your sources before sharing. Adhere to digital citizenship protocol. Common Sense Media Digital Citizenship [https://edtechbooks.org/-fHi] has great lesson plans and tools for keeping students safe and their families informed. Discuss your project(s) with others, classmates, teachers, students. Post ideas on a blog or other social media. Not all of the resources will align with your educational philosophy. Which resources resonate with you? Create your own evaluation tool. Use a document, spreadsheet, or form. Create your own portfolio of your ideas and aspirations. Use Google Tools, Microsoft OneDrive, or other curation tool. Create your own website, pinterest site, blog, or instagram illustrating your understanding of and application of a STEAM Mindset. Ask a supervisor for suggestions on reading material from experienced, trusted authors. Use phrases such as “I wonder. . . .,” “I would like to know more about . . . .” “What if . . . “ to get yourself thinking about improvements. Use technology tools such as Edmodo, Google Groups, the Google Stream section of Google Classroom, Twitter, Facebook, and other social media and websites to learn what others are doing to enhance their practice. Talk with other students who are in your program or another complementary program. Offer suggestions and ask their opinion. Look for experts in a content area, for example, talk with a scientist from a local company, a teacher in the field from another school, a parent that has expertise in writing, cooking, or health care. Engage in free webinars that highlight aspects of teaching and learning. Simple K12 [https://www.simplek12.com/]host webinars frequently. The webinars are free and helpful. Explore new learning by attending conferences. National, state, and local conferences are held in almost every curriculum area including reading, math, science, social studies, and technology. Check with supervisors for availability in your area. Venture into the workings of the district. Ask if you can attend school board meetings to become acquainted with the governance of the district. Make connections through services such as Linkedin. Create a “support journal” listing goals, supporters, support, feedback, and next steps. Use as an evaluation tool and reference resource. Be gentle with yourself. Take it one step at a time, and keep “learning under your own STEAM” for yourself and your students. Duckworth, A. (2017). Grit: The power of passion and perseverance. London: Vermilion. Dweck, C. S. (2016). Mindset: The new psychology of success. New York: Random House. Martinez, Sylvia Libow. Stager, Gary S. (2016). Invent to Learn: Making, Tinkering, and Engineering in the Classroom. S.l. : Constructing Modern Knowledge. 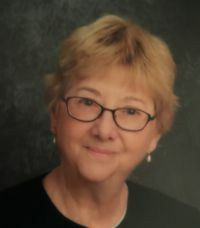 Mary Jeanne Olexa Smith is the technology teacher for kindergarten through eighth grade and technology specialist/coordinator at Saint Genevieve School in Flourtown, Pennsylvania. She comes from a varied educational background. She has served as a classroom teacher, an elementary school librarian, and an elementary school principal. Mary Jeanne hold a bachelor’s degree in elementary education and psychology from Moravian College, a master’s degree in education from Temple University, and post master’s certificate in Leadership and Technology from Chestnut Hill College. She is pursuing a doctoral degree in K-12 education and technology at Widener University and she is a Level Two Google Certified Educator.